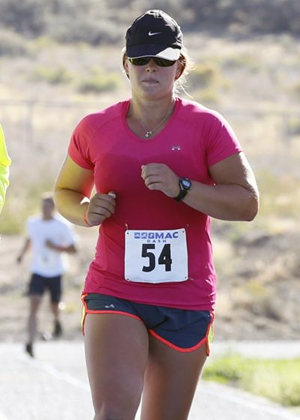 The MAC Dash sprint triathlon consists of a 500-yard swim in the pool, a 12-mile road bike ride and a 3-mile run. The Aqua Bike Event consist of a 500- yard swim in the pool and a 12 mile road bike. Both individual and team competitors are welcome. Swim course - The MAC Dash and Aqua Bike both begin at the Madras Aquatic Center, a premier swimming facility. The swim requires completion of 20 lengths of the 25-yard lap pool. Your estimated 500-yard swim time is required to determine your race heat. You will be circle-swimming in a lane with competitors who report similar swim times. Significantly inaccurate times may result in disqualification. 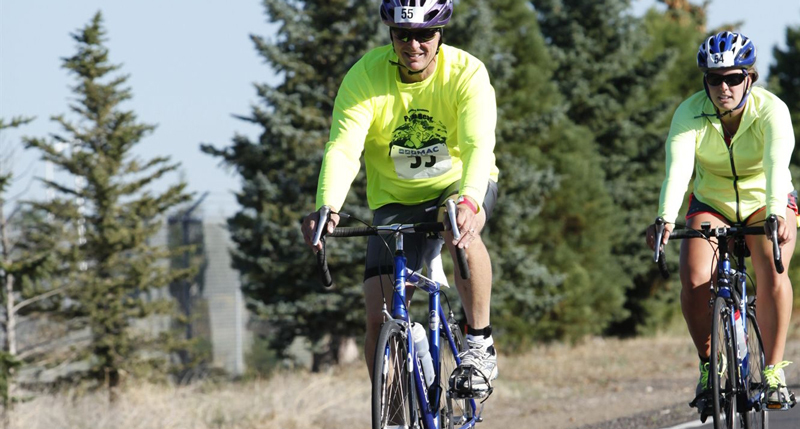 Bike course - The 12-mile bike course begins and ends at the Madras Aquatic Center parking lot. The course leads the bikers through agricultural and quiet, residential areas of Madras. The roads are wide and well paved. An ANSI/Snell approved helmet is required. Ride on the right side of the road and pass to the left. Drafting, defined as being within 3 bike lengths of the rider in front of you, is not allowed. Flaggers and volunteers will be at intersections along the race course, but the course is not closed to vehicles. Be alert to traffic. Pacing is not allowed in this event. The Aqua Bike will finish at the timing mat when you finish your bike leg. Run course - Upon beginning the 3-mile run, competitors will pass the Madras Aquatic Center and Jefferson County Middle School, heading east on a wide, well paved road. Runners enter Juniper Hills Park at the top of the hill and complete one lap of the paved running trail. Runners will finish the race on the track of Jefferson County Middle School. Pacing is not allowed in this event. Training - The MAC Dash organizing committee provides some training opportunities for the triathlon. These include some focused swim training at the MAC and an opportunity to have a trial run of the race course a few weeks before race. Stay tuned for more information.